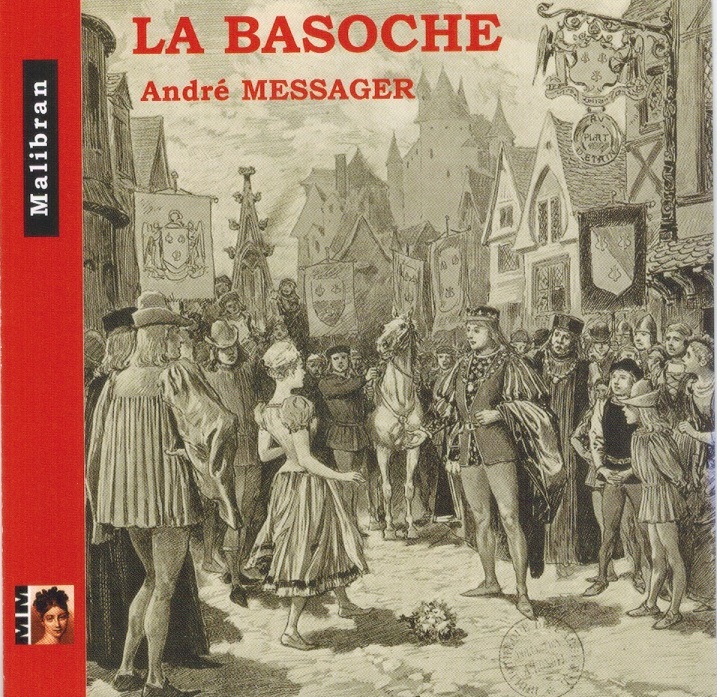 ï¿½LA BASOCHE is an opï¿½ra comique in three acts, with music by Andrï¿½ Messager and a French libretto by Albert Carrï¿½. The opera dï¿½buted at the Opï¿½ra-Comique in Paris in 1890 and was mounted in Brussels in 1890, Geneva in 1891, London in 1891ï¿½1892 and New York in 1893.
ï¿½Camille Maurane was a French baritone singer who studied at the Paris Conservatoire in the class of Claire Croiza from 1936 to 1939. He began his professional career as a singer in 1940 at the Opï¿½ra-Comique in Paris. 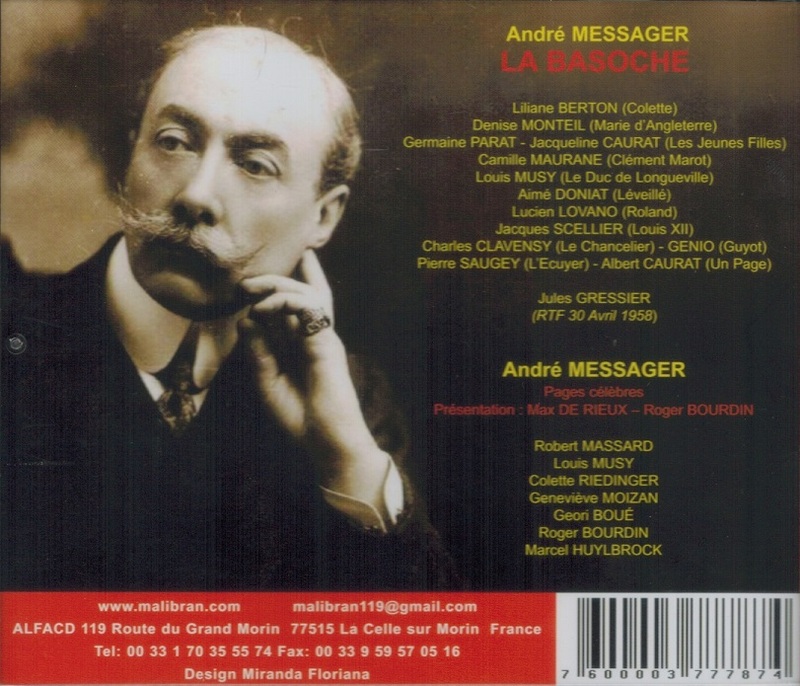 He dï¿½buted as the Moine musicien in LE JONGLEUR DE NOTRE DAME on 14 January 1940. “Liliane Berton made her debut, in 1952, at the Opéra-Comique, in Michel Maurice Lévy’s DOLORES. Her talent was immediately noticed and she was engaged by the Paris Opéra. With a graceful physique and a voice that enchanted the audience, she began a dazzling career. In France, she was heard as Sophie (WERTHER) and Poussette (MANON), Rosina (THE BARBER OF SEVILLE), Siebel (FAUST), Eurydice (ORPHÉE), and Cherubino or Suzanna (LES NOCES DE FIGARO). In 1957, she was Sister Constance at the creation of Poulenc's DIALOGUE DES CARMÉLITES. 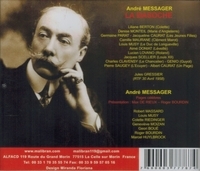 In his tribute to the singer, André Tubeuf declares that, ‘in this role, she was incomparable and irreplaceable... this song of bird and source, this laughing and melancholy grace, this natural in the supernatural’ (review Musicological Classica, June 2009). In 1962, at the Paris Opéra, she sang Sophie alongside Elisabeth Schwarzkopf, the legendary marshallin. In 1963, at the Glyndebourne Festival, she was invited to sing the role of Suzanna, LE NOZZE DI FIGARO. “Louis Musy was a French operatic baritone and stage director principally active at the Paris Opéra-Comique. His teacher was Léon David. He made his début in LE CHEMINEAU by Leroux in 1925 at the Opéra-Comique and went on to sing many other French and Italian roles in the Opéra-Comique repertoire. Musy was a member of the four-member committee which ran the Opéra-Comique after the liberation of Paris during 1944. From 1947 he was a director of staging at the theatre. His pupils included Xavier Depraz, Jean Dupouy, Jacques Loreau, Irène Sicot and Remy Corazza.